The Baby Big Mouth Show! Best of Surprise Eggs Learn Sizes from Smallest to Biggest! Surprise Candy Party! Opening Candy Filled Surprises and a Huge Cotton Candy Ice Cream Cone Bank! The Baby Big Mouth Show! 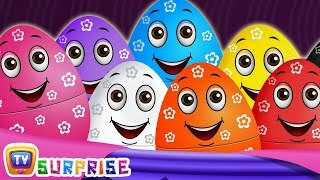 Best of Learn Sizes Big Bigger Biggest with Circular Surprise Eggs! Learn Opposites with Surprise Eggs! With Huge Giant Jumbo LOL Ball! The Baby Big Mouth Show! Best of Baby Big Mouth Colour Party! Learn Colours with Play-doh! The Baby Big Mouth Show! Best of Surprise Egg Angry Birds Lunchbox! With a HUGE Surprise Egg! Hello Kitty Surprise Eggs Learn Sizes from Smallest to Biggest! The Baby Big Mouth Show! Best of Surprise Eggs Learn Sizes with Sock Monkey Nesting Eggs! Disney Frozen Jewellery Box! Filled with Surprise Eggs and Toys! Surprise Egg Candy Party! Opening Candy Filled Surprise Eggs and a Huge Lollipop!